In the first match for last Sunday's programme Guapos Malditos took on Foxtrot Whisky in what turned out to be a particularly fast paced encounter. Guapos Malditos had a good first chukka taking a strong lead over Foxtrot Whisky. 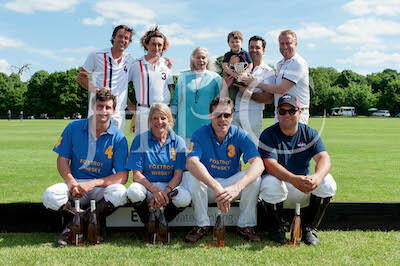 After the first chukka though Foxtrot Whisky regrouped and through good teamwork pulled back several hard fought goals. The Foxtrot Whisky team benefited from a half goal handicap which helped to keep them in contention and by the third chukka they used that margin to take the lead. Guapos Malditos had a great finish to the game regaining the lead and managing to hold out until the final bell for the win.